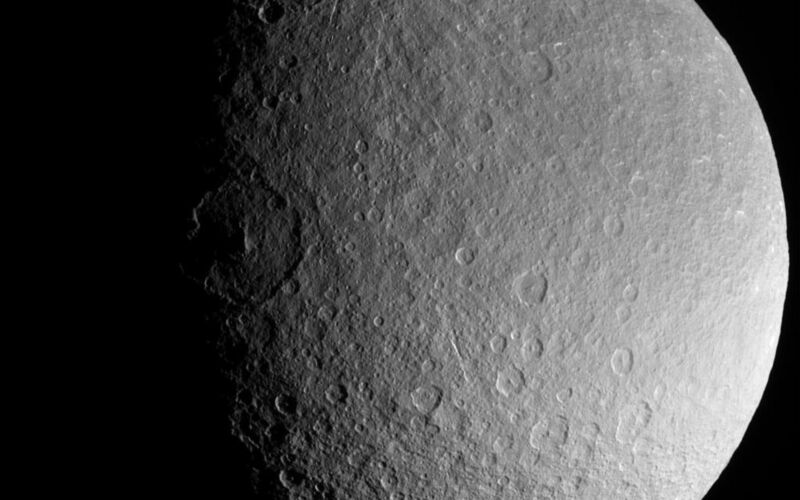 Saturn's moon Rhea is an alien ice world, but in this frame-filling view it is vaguely familiar. Here, Rhea's cratered surface looks in some ways similar to our own Moon, or the planet Mercury. 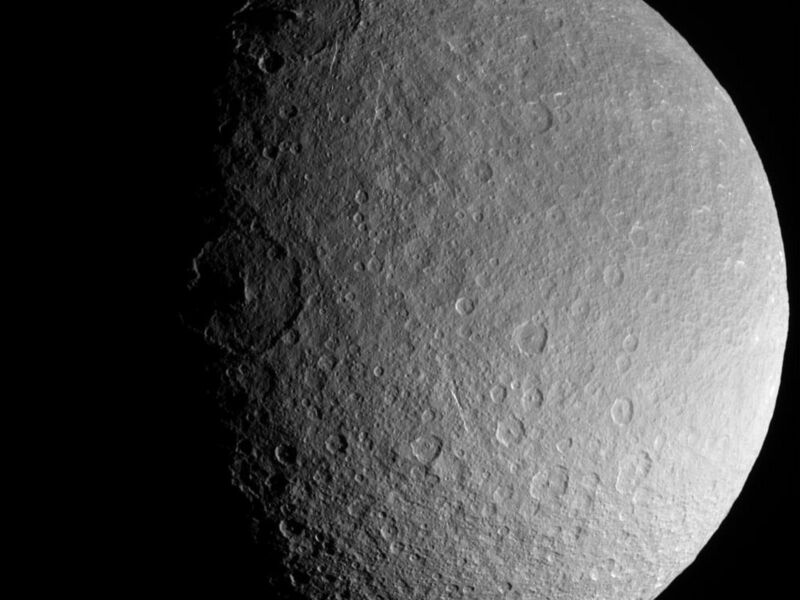 But make no mistake -- Rhea's icy exterior would quickly melt if this moon were brought as close to the Sun as Mercury. Rhea is 1,528 kilometers (949 miles) across. 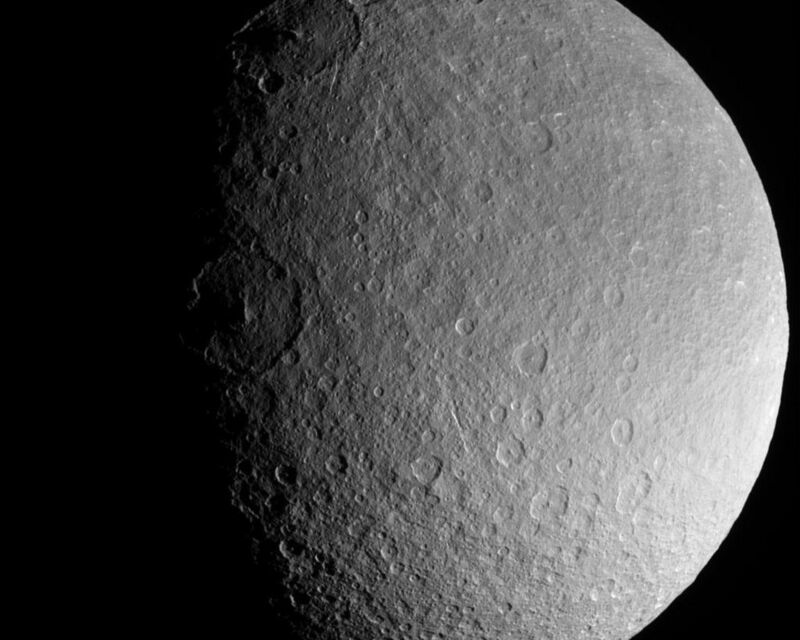 Instead, Rhea preserves a record of impacts at its post in the outer solar system. The large impact crater at the center left (near the terminator or boundary between day and night), called Izanagi, is just one of the numerous large impact basins on Rhea. This view shows principally Rhea's southern polar region, centered on 58 degrees South, 265 degrees West. 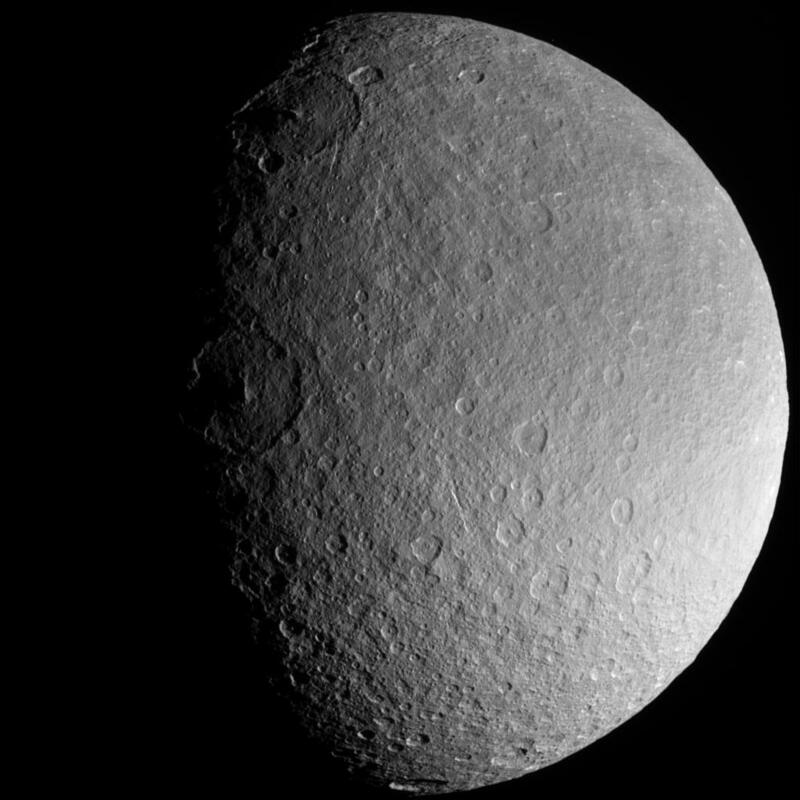 The image was taken in visible light with the Cassini spacecraft narrow-angle camera on Aug. 1, 2005, at a distance of approximately 255,000 kilometers (158,000 miles) from Rhea and at a Sun-Rhea-spacecraft, or phase, angle of 62 degrees. Image scale is 2 kilometers (1.2 miles) per pixel.